Xanax is perhaps one of the most commonly prescribed drugs to treat anxiety. While this drug can be instrumental in treating such conditions, studies have shown that long-term use can cause dependency. Patients that rely heavily on Xanax to keep their anxiety, depression and panic attacks under control often have a difficult time quitting the drug on their own and require the assistance of a Xanax rehab. The reason Xanax is such as effective benzodiazepine has to do with its active ingredient that interferes with the brain’s receptors, decreasing its activity and reducing the possibility of a panic attack or anxiety episode. However, the sense of euphoria that comes from taking Xanax can trick people into steering off the recommended dosage prescribed. That’s when the possibility of addiction settles in. Misuse of the substance can not only result in abuse, but there is also a high risk of developing tolerance to the drug. Xanax abuse can cause a variety of side effects, such as drowsiness, difficulty concentrating, dizziness, and even some memory issues. Because of these adverse reactions, it can be tough to approach a Xanax addict and convince them to get clean. Detox remains the only viable solution in this case. Do I Need Detox Before Entering a Xanax Rehab Treatment Center? Xanax can create an extreme form of dependency. Once the patient stops taking the drug, their body can react violently to compensate for the lack of substance it had grown used to. That is when the withdrawal symptoms begin to appear. The best chance a patient has for rehabilitation is to go through medical detox first, and then follow a behavioral treatment plan. Decreasing the dosage without proper medical supervision is not very effective, as patients rarely resist cravings. While the withdrawal process is not life-threatening, it does present some discomfort to the patient. Especially if the patient was prescribed Xanax for treating a particular mental condition, the detox process will no doubt let those issues surface. Patients going through a Xanax detox can have extreme anxiety episodes during their treatment. That is why a doctor must supervise the patient’s condition at all steps, thus increasing their chances at a successful detox process. What Therapy Options Are Successful in Treating Xanax Addiction? A combination of medical detox and subsequent behavioral therapies, such as the ones offered in detox clinics, have a higher success rate in helping individuals overcome their Xanax addiction. Unsupervised termination of dosages may result in extremely unpleasant side effects, and the patient might continue taking the drug to relieve their pain. Inpatient programs that offer a safe environment for patients. Once admitted, the patient can focus solely on their recovery. Outpatient programs that permit the patient to remain at home during their treatment. Individuals who have a less-severe dependence on the drug, or who are unable to disconnect from their daily lives follow such programs. The 12 step program, which is ideal for people who have already terminated their medical detox and have done some therapy. 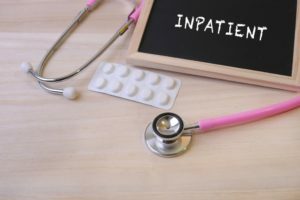 How Do I Know If I Need an Inpatient or Outpatient Program? When choosing a type of treatment program for Xanax rehab, it’s vital to look at the external factors that have influenced the patient. For example, patients who showcase an extreme form of dependence, either by taking high doses or by having abused the drug for many years, will find it easier to follow an inpatient program. Those who also come from an environment that facilitates addiction also prefer an inpatient program to disconnect entirely from their daily lives and focus on healing their addiction. For instance, a person trying to overcome a Xanax addiction will struggle to follow a treatment plan if they are living with someone who is also a substance abuser. An outpatient program, in this case, might just be their best chance at rehabilitation. However, there are some instances where the patient cannot separate themselves from their daily lives, regardless of the level of addiction. Individuals who have small children in their custody, or who are sole household providers will opt for outpatient treatment to continue day to day activities. How Do Treatment Centers Address Co-Occurring Disorders? The medical staff working in a treatment center is not only specialized in treating issues related to addiction but also understand that it often comes with co-occurring disorders and that they must address the condition holistically. Patients will receive treatment both for the addiction, and their underlying mental afflictions at a Xanax rehab center. While a strenuous journey, recovering from a Xanax addiction is most effective in a safe environment, where professionals can supervise the patient’s condition at all times and adapt their treatment according to their needs. Xanax® (Alprazolam) is a fast-acting, highly addictive benzodiazepine. Its chemical structure is similar in composition to other benzos like Ativan® or Rohypnol® (“roofies”). Physicians prescribe Xanax to lessen anxiety or panic attacks. Xanax has become a frequently abused drug with an extremely high addiction potential. If someone you know has become addicted to Xanax and needs help, at Windward Way we have a personalized, custom-designed Xanax rehab for him. A rehab for Xanax at Windward Way can help bring a sense of balance back to his life without the need for addictive drugs. You can find the answers you’re seeking now: 855-491-7694. Through both our prescription rehab and also our addiction treatment program we aspire to give hope and direction, not only for the clients we assist but also for the families, friends, loved ones, employers of those affected by the addiction. Even when you think a solution is beyond your reach, our intake professionals want to work with you to find a path to freedom. Windward Way can and does help thousands of men like yourself or someone you know. Since potentially seizure-inducing and life-threatening withdrawal is common when a person comes off a benzodiazepine like Xanax, our thoroughly trained and knowledgeable intake staff will determine whether a Xanax detox is appropriate as a first step to discovering the true freedom that only a life in recovery can bring. Throughout every step of our admissions process, we are here to guide you so you can make the most informed, compassionate choices for someone you care about . . . or yourself: 855-491-7694.